UNLIKE TAP WATER, INORGANIC WATER DOES NOT HAVE THE REMNANTS THAT CAUSE THE HARDNESS OF HAIR. 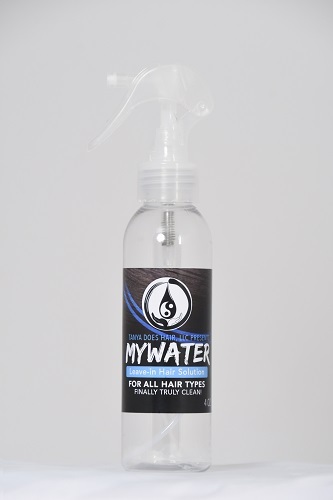 BY USING MYWATER IT WILL DISSOLVE ANY REMAINING REMNANTS, RESULTING IN TRULY HEALTHIER HAIR. Available for shipping in the U.S. only. 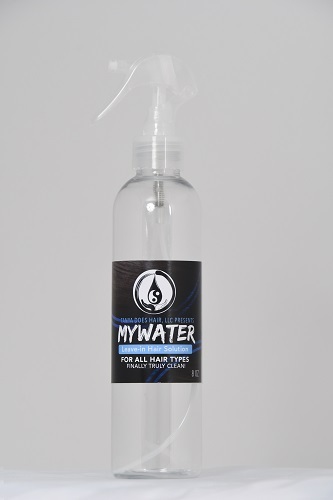 MYWATER IS A UNIVERSAL SOLVENT THAT FINALLY CLEANSES THE ENTIRE HAIR SHAFT. IT DISSOLVES ANYTHING LEFT BEHIND BY TAP WATER AND SHAMPOOS. CONTRARY TO POPULAR BELIEF, CONDITIONERS ARE NOT ALWAYS NEEDED. THEY DO NOT SOFTEN HAIR, BUT COVER IT. CONDITIONERS CAN BE LESS EFFECTIVE IF USED WITH TAP WATER. 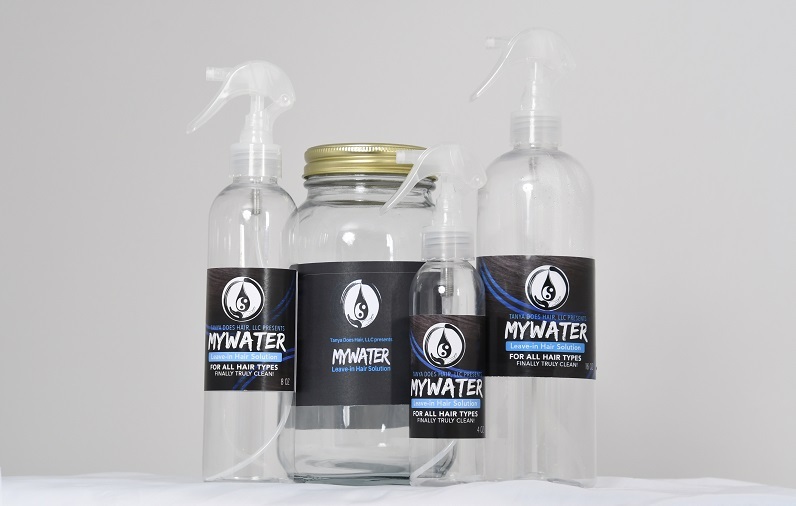 MYWATER REPLACES THE NEED FOR CONDITIONER WHICH SAVES TIME AND MONEY. 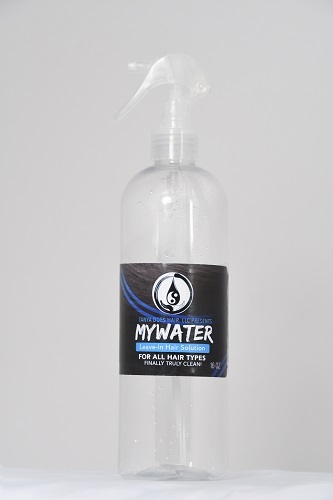 MYWATER PROVIDES EASY, PAIN-FREE COMB OUTS AND MINIMIZES SHEDDING. 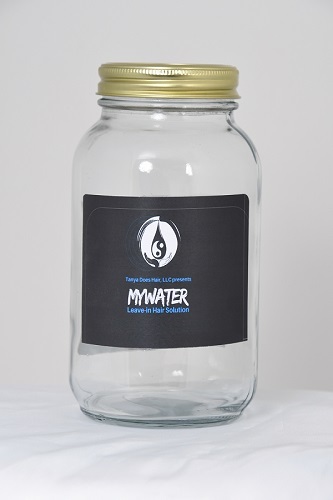 MYWATER ELIMINATES THE NEED FOR ADDED PROCESSED OIL. THE SHINE LASTS FOR DAYS, WITHOUT WEIGHING HAIR DOWN. FOR BEST RESULTS, USE IMMEDIATELY AFTER SHAMPOOING. FLUSH THE SPRAYER AGAINST THE SCALP AND SPRAY MYWATER ALLOWING IT TO RUN DOWN THE HAIR SHAFT. AFTER FULL SATURATION, RUB MYWATER INTO HAIR AND LEAVE IN. STYLE AS DESIRED. TAKE SMALL SECTIONS AND SPRAY THE HAIRS WHILE RUBBING MYWATER IN WITH OTHER HAND. LEAVE IN AND STYLE AS DESIRED. DO NOT MODIFY THIS PRODUCT. MODIFICATION OF ANY KIND WILL RESULT IN NO GUARANTEE OF RESULTS.